Minnie’s letter to her mother demonstrates the multiple ways in which she resisted the goals of the Carlisle Indian school. According to Seagal and Rose (2016), one of the ways in which the school founder, Richard Pratt, sought to assimilate students to white mainstream culture was by virtue of separating students from their families and lifestyles (Seagal, Rose 2016). In this way, Minnie was divorced from her family, limiting her the ability and feasibility to communicate and connect with her family. However, Minnie refused to accept this disconnection from her family by virtue of writing this letter, thus reinstating a new means of communication with her family. Although Minnie is denied her customary ways of communicating with her mother, she managed to utilize a mode of communication to which she had access as a means of maintaining her familial contact that Prat sought to alleviate. This restoration of a familial connection is also revealed as Minnie adamantly requests for her mom to tell the superintendent of the school to send her home. Through a persuasive narrative, Minnie conveys the multiple ways and reasons that she should be sent home. 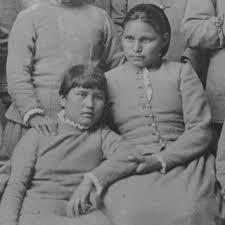 Despite Pratt’s strict regulation for students to complete their full term at the Carlisle Indian school (Nash, Strobel 2006), Minnie goes against such rules by insisting that she be sent home immediately. Furthermore, Minnie not only resists the school’s goals by her request to return home, but also in the style that the letter is written. Another objective of the Carlisle Indian school was to assimilate its students in Eurocentric mainstream societal customs (Seagal, Rose 2014). 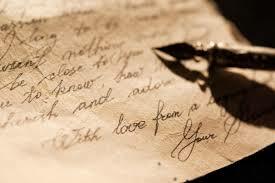 However, Minnie constructs this letter in a way that defies mainstream traditional ways of writing a letter. Rather than begin her letter with “Dear” followed by the name of the intended recipient, Minnie begins her letter with solely her mother’s name. This deviation from mainstream writing conventions reveal the ways in which Minnie rejects Pratt’s mission to ensure that students acquire the values and traditions of mainstream society. Additionally, Minnie writes her original letter in blue ink as represented in the digitized copy of the letter. While many official documents are traditionally written in black ink such as contracts and correspondences, Minnie challenges this traditional custom by writing this letter in blue ink. Minnie’s use of blue ink is not only significant because of her resistance to mainstream tradition, but also because it was a mode of expression that the school sought to regulate. The color blue is often associated with sickness and sadness. When one claims to feel blue, that person is insinuating that they feel unwell whether it be sickness, sadness, or both. In the same way, Minnie uses blue ink to emphasize her feelings of sickness and sadness caused by the Carlisle Indian school. Even though Pratt restricted expressions of discontent with the Carlisle Indian school, Minnie managed to subvert this regulation of expression in this covert way. These stylistic nuances within Minnie’s letter demonstrate resistance through the rejection of mainstream mores, and the assertion of stylistic agency. Minnie also resists the goals and practices of the Carlisle Indian school by challenging the threatening practices of its administration. The Carlisle Indian school sought to retain students in the school by discouraging parents from requesting their children’s return home. According to Adams, the school administration with help from the government made a conscious decision to disadvantage and retract resources from Indians if they impeded upon the efficacy of the school (Adams 1995) It is this prospect that Minnie addresses the administration’s’ threats throughout her letter. 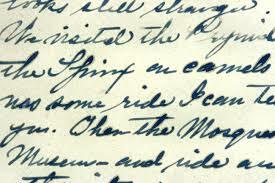 Specifically, towards the beginning of her letter she states, “You all will not get killed if I go home,” and towards the end of her letter, she maintains, “It will not hurt you to write to the superintendent to ask for me to come home.” With these assertions, Minnie directly undermines the threats and authority of the school administration and the government. While the school and government openly sought to intimidate families with their power tactics to prevent students’ return home, Minnie challenges that power by assuring her mother that nothing will happen to her. Minnie not only resists the school administration’s power but also encourages her mother to resist them as well, as she demands that she write to the superintendent to release her. By writing to the superintendent, Minnie’s mother would be conveying her willingness to withstand whatever consequences that may emerge from her actions. Thus, Minnie espouses a collective resistance to the Carlisle Indian school by virtue of empowering her mother to also actively disregard the schools’ threats, and write to the superintendent regarding her return home despite administrations’ disapproval. 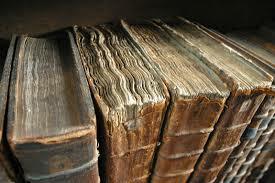 Minnie’s letter is situated within this literary canon because of its historical, cultural and aesthetic significance. This letter represents the historical practices and expressions of Indian resistance, agency, and ingenuity. Additionally, it reflects a complex piece of American history that is informed by historical roots of power, position, and privilege. Moreover, the cultural implications of this letter enable readers to gain insight on the multiple ways in which culture is preserved and transmitted despite efforts of cultural deprivation and imposition. In regards to the aesthetic qualities of this letter, readers are required to consider the clever and stylistic ways in which Minnie imparted her overt and covert messages and expressions. Ultimately, Minnie’s letter should be canonized because it serve s to represent within the canon what Minnie sought to reflect within her writing, the centering of a voice that has endured and defied spaces by its very existence. This entry was posted in Minnie Kopita, Resistors and tagged Agency, Culture, family, Resistance. Bookmark the permalink.